As February brings about the close to the January Transfer window circus, Everton fans are analysing Ronald Koeman’s squad with intrigue. Gone are the “Deadwood”, the crocks and flops who turn up to Finch Farm every day, collecting thousands of pounds a week for doing seemingly very little. 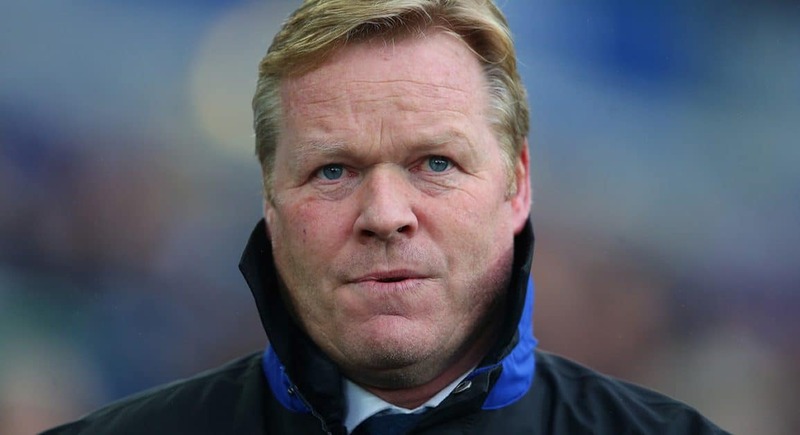 Koeman has expelled the passengers from his squad, culling the group down to only those talented and hungry enough to bring success to the football club. However, there are now holes left within the team. The squad is unbalanced, and it will need addressing. The January window is always deceiving, as the real top targets that clubs identify are generally not available for sale at such a crucial stage of the season. Its something that Koeman has accepted, and it’s a trap he didn’t fall into. It would have been needless to merely add mediocre personnel, especially when there are numerous bright talents to come through from David Unsworth’s special group of U23s. Everton will no doubt be pinpointing summer targets right now; in the domestic leagues, as well as in Europe and beyond. Here, I have broken down a list of potential targets that could be of interest to Steve Walsh and Ronald Koeman. These are players in positions that need strengthening, with 3 different types of targets per position; A big money and ambitious target; a more affordable and realistic target; and a young exciting prospect who could become a potential star for years to come. Butland will be 24 by the summer, yet he already seems to have been around for years. The 6ft 5in stopper was loaned 6 times over a three-year period, before cementing his place in the Stoke side in 2014. Since then, Butland has been one of the Premier Leagues best keepers – and he still has plenty of time left to improve. He knows the league well and is proven to be a top talent. Any potential move would command a huge transfer fee for the England International, most probably around £30+ million. Still only 29, Joe Hart is approaching the peak of his years as a goalkeeper. Unfancied by Pep Guardiola, Hart took the commendable decision to move abroad to Turin’s second club. He has been busy this season for Torino, pulling off some stunning saves to make Guardiola blush as he sits and watches Claudio Bravo play as a statue in the Etihad nets. Hart’s quality remains undoubted, and would be a logical option to take over duties from the less prestigious Joel Robles. He’s available, affordable and reliable, and must be considered seriously. Making his debut last season, Lafont became the youngest ever Ligue 1 goallkeeper, aged just 16 years and 309 days. An impressive stat indicative of his talent, as keepers rarely debut until they are much older. Now 18, Lafont already looks calm and assured, as he has nearly 50 games under his belt with a ratio of 1 clean sheet in every 3 games. His unflappable, cool persona is reminiscent of fellow French starlet Anthony Martial. Compared to famous teen sensation Gianluigi Donnarumma at Milan, Lafont is not nearly as talked about, despite being arguably just as talented a prospect. It certainly would be an exciting move if Everton signed such a young keeper who could fill in between the sticks for the next 15 years or so. Evertonians look at Virgil Van Dijk’s performances for Southampton with a mixture of admiration and frustration. A player of elite ability, Van Dijk really is the complete defender. The frustration emanates from the memory of Everton’s failed pursuit of the Dutchman before he signed for the Saints for £13mil last season. Since then, the Oranje defender’s performances have been sensational, and his price tag has tripled. Everton’s chances of signing the cultured centre back lie with the manager, who has a strong relationship with his former player. His fee remains a problem, as Moshiri may be reluctant to justify paying £40+ mil for a defender, especially when taking into account financial fair play rules. Additionally, there is plenty of speculation of a potential move to Manchester City, who as we know are more than willing to spend silly money for a defender. The one that got away in January, if reports are to be believed. The former Manchester United man has been linked with the blues for months, and it is highly likely he will move on at the end of the season. Koeman expressed his public intent on signing the Burnley defender, and a move for the England International would be expected to happen sooner rather than later this summer. Keane alongside Holgate, Williams at al. would certainly be an exciting proposition. 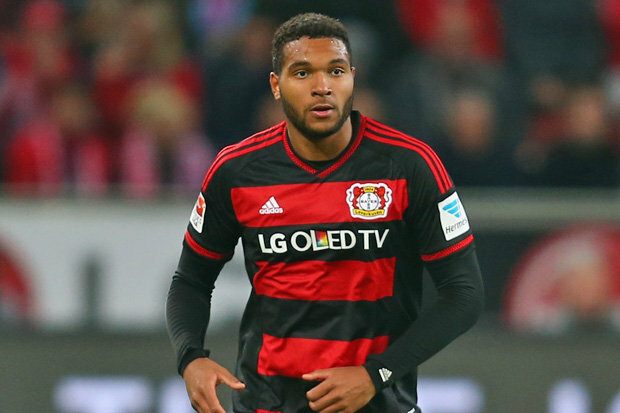 The German defender has emerged as one of Europe’s most sought after defenders. Linked this January with a move to Liverpool, Tah, 20, is thought to be one of the next top ball playing centre halves, alongside John Stones and Raphael Varane. The 6ft 3in German international would be a major coup if Koeman could snap him up, avoiding fierce competition from Premier League rivals. The United left back has fallen down the pecking order at Old Trafford, with Jose Mourinho believed to be losing faith in the England man. Once tipped to become the world’s best in his position, Shaw has suffered from a combination of injuries and poor form in his spell at Old Trafford. He has also come under criticism for his apparent weight issues since joining the club. A change of scenery may be in order for Shaw, who at 21, still has time to improve and plenty left to offer. The young Celtic full back is hotly tipped to become a future star, with some claiming he is one of the best in his position in Europe already. The 19-year-old was linked with a £10mil move to Sunderland this window, however the move was dismissed by the Glasgow club and fans alike as “unrealistic”. A move to Goodison would no doubt be more tempting for the young Scot, who could really thrive under Koeman, playing in an exciting young side at Everton. He would be a fine long term understudy and replacement to the experienced Leighton Baines. Sessegnon gained plenty of admirers after he tormented Hull City’s defence in Fulham’s FA Cup fourth round rout of the Tigers. His skill is more reminiscent of a forward than a left back, and combined with his express pace, Sessegnon looks to be a real player. Born in March 2000, Sessegnon was just 9 years of age when Fulham were embarking on their famous Europa League journey, as they reached the final of the competition before being defeated by Atletico Madrid. The 16-year-old has attracted interest from the Premier League’s elite clubs – as he is yet to sign a professional deal with the whites. Everton would be wise to take advantage of the starlet’s availability in the summer. A contentious one, however there’s no doubt in my mind that Wayne Rooney would add a huge amount to this Everton team. Aged 31, Rooney’s experience and intelligence would be an invaluable asset to an Everton side that lacks those particular qualities up top. Playing just off Romelu Lukaku and in front of Barkley, Davies and others – He would certainly make Everton a feared force. Rooney would bring so much out of Lukaku’s game in particular, as he can hold the ball up whilst expertly dictating play. Seeing him play at Duncan Ferguson’s testimonial 18 months ago was enough to wet the appetites of many Evertonians for a long awaited return to Goodison Park. His wages would be the only issue in striking a deal to bring Rooney home. Sigurdsson is a player most Evertonians have wanted for the last few seasons. Swansea’s only realistic hope of survival, the Iceland international has been directly involved with 55 Premier League goals for the Swans (32 goals, 23 assists). He can seemingly do everything, scoring all types of goals whilst setting up team mates time and time again. If Swansea go down, Sigurdsson will no doubt be looking to move on, with Everton likely to be interested. Another young Leverkusen player linked with Liverpool, Brandt is a versatile forward with a bright future. German manager Joachim Low highlighted the boy’s talent especially in “one on one situations”. The 20-year-old became Leverkusen’s youngest ever scorer in 2014, and since has become a first team regular for the Champions League side. Bayer sporting director Rudi Voller called him “One of the most talented players in German football” – high praise indeed from a former legend of the game. Icardi would be an ambitious target for the blues, as the 23-year-old striker has been prolific in Serie A for the last couple of years, scoring 17 goals in 28 games for Inter this season. His off the field antics have caused controversy, as Icardi attacked his own fans in his autobiography, leading to irreparable damage to his relationship with the Nerazzurri ultras. In addition, Maradonna recently labelled him “a traitor”, due to Icardi “stealing” former team mate Maxi Lopez’s wife. Despite these self inflicted issues, Icardi’s performances remain superb, scoring freely for an Inter side that are looking to rebuild under new Chinese ownership. His unstable relationship with the club may result in a possible transfer to another side in Europe – however he would command a hefty fee. Batshuayi signed for Chelsea for a whopping £40 million just last summer, however first team chances have been hard to come by for the Belgian. Conte seemingly does not trust the young striker, as he instead utilises Hazard as a number 9 in Diego Costa’s absence. With 0 premier league starts to his name, combined with Chelsea’s interest in Moussa Dembele from Celtic, it looks as if Batshuayi may well be free to go elsewhere in the summer, as Everton look to add support for Romelu Lukaku. Batshuayi’s goal record is strong considering his lack of game time, scoring 4 goals in 5 starts in cup competitions. Following in the footsteps of Anthony Martial, Mbappe has unsurprisingly been dubbed the next Thierry Henry. Scoring 3 in 17 this season (1 goal every 200 minutes), Mbappe is one of the most sought after teenagers in Europe. Playing like his Monaco predecessors in a wide left position, Mbappe will become a formidable striker over the next few years. He broke Henry’s record of youngest starter and scorer in Ligue 1 for Monaco, as the principality side have stormed the league this season, scoring more goals per game than any other team in Europe.